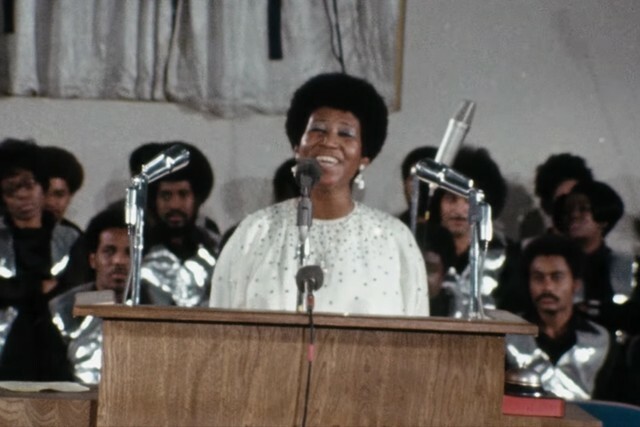 Aretha Franklin’s concert film Amazing Grace, documenting her iconic 1972 performances at New Temple Missionary Baptist Church in Los Angeles, will be released on April 5 in Los Angeles and New York, it was announced today. The film will expand nationally in the ensuing weeks. Its distributor Neon has also released a new trailer, which you can view below. The film was originally intended for release in 1972 alongside the live album by the same name, also featuring the New Temple recordings, but was infamously shelved due to a sound-syncing error and years of lawsuits and failed contract negotiations with Franklin. Alan Elliott, the producer who inherited the project from its original director Sydney Pollack, reached an agreement with Franklin’s estate last year, three months after the singer’s death. Watch the new Amazing Grace trailer below.